Here is a quick shot of a Facebook page I recently branded for a new company called Kidz Biz Boutique, who sell kids clothing on Facebook. I created the logo and branded the Facebook page- which is doing well with nearly 700 likes in only a couple of months! Also created were various cover photos to match the seasons- at the moment is Christmas, and also shown is Autumn and Summer. Take a look at the Kidz Biz page here! 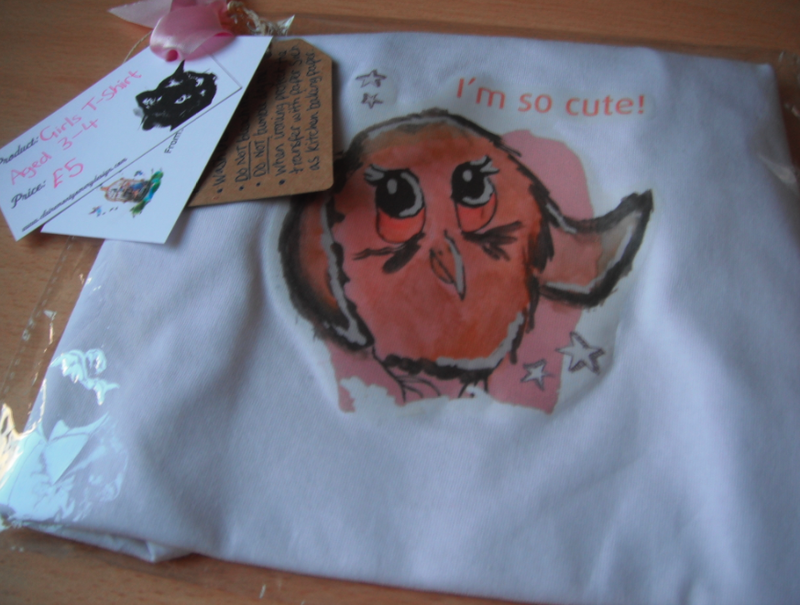 Children’s T-shirts printed in various designs and sizes, from aged 2 to 10 years. Any design and personalisation ( child’s name, or short message) available also, just contact me at: sayhello@clairemontgomerydesign.com. Adult t-shirts also available in various designs, size small to large. 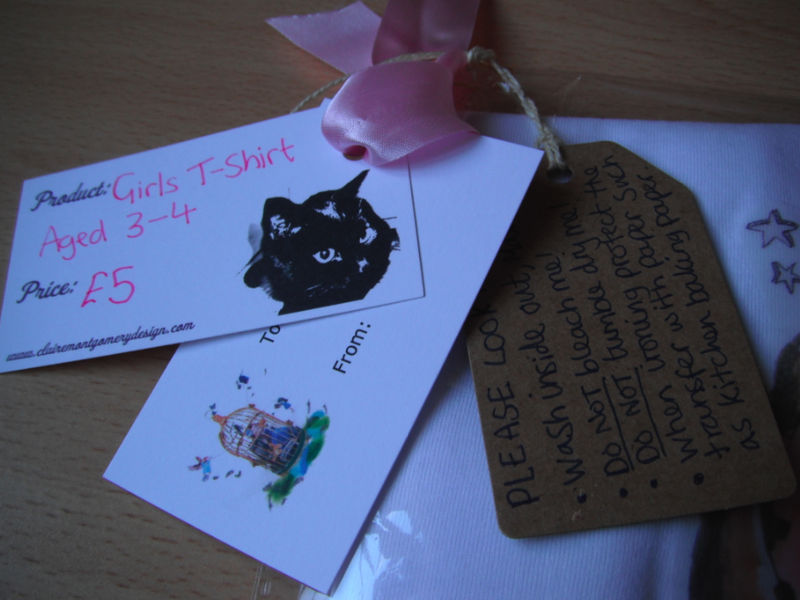 An example of a children’s t-shirt packaged. Each T-shirt hand packed, complete with gift tag and decorative extras. Also every T-shirt hand printed (with heat transfer), and available in unisex style T-shirts or fitted girls T-shirts. Priced at £5-7 (depending on size). 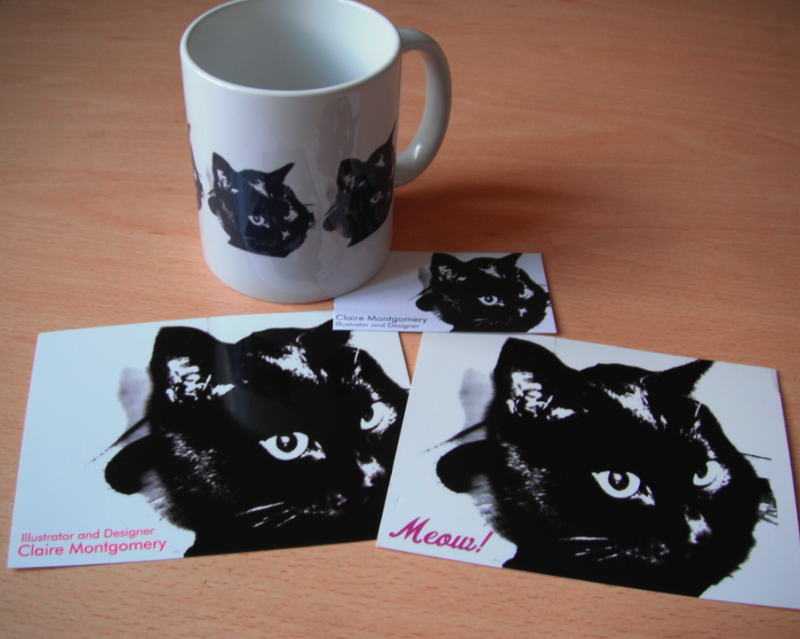 Black Cat range, perfect for Haloween! Postcards, mug, cards and bags available with this design. Also original limited screen prints of this will be for sale of this print in black, and two colour hand printed screenprints. 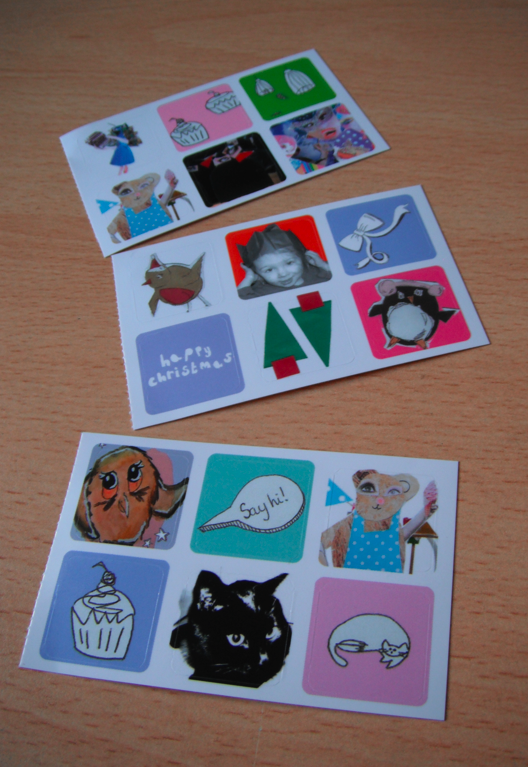 Sticker sheets, three themes available: Nursery rhyme, Christmas and Illustrative. 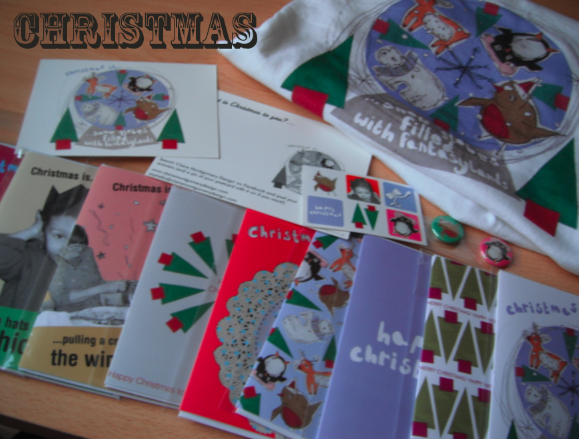 Christmas items so far: cards, postcards, stickers, t-shirts and badges. There will also be cotton bags and handmade stockings! All sorts of stocking filler ideas! Some quick pics I took of a few items I will be selling. 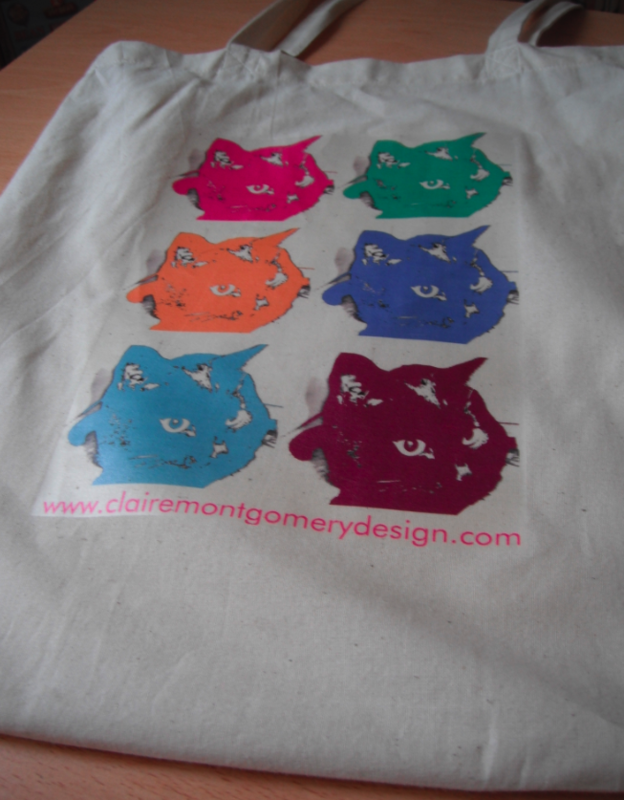 Example of a cotton bag, will printing these in various designs and colours, as well as some Christmas designs. 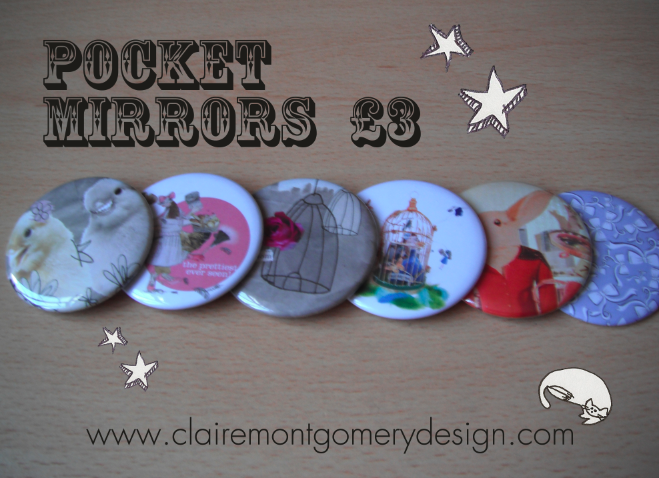 Pocket Mirrors in six designs. 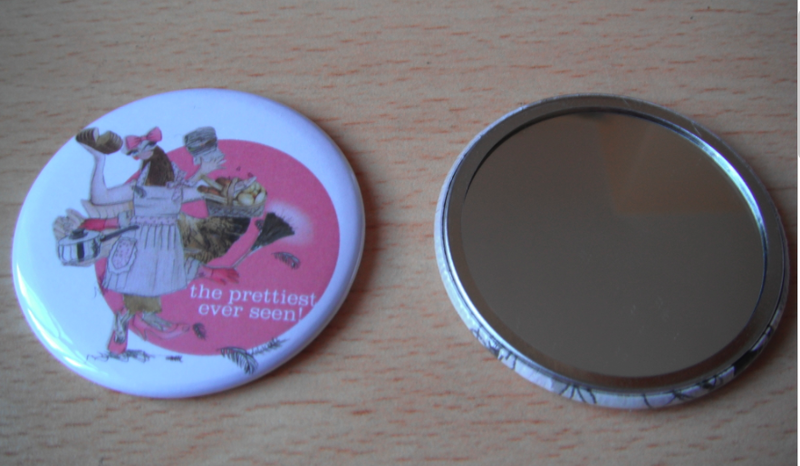 38mm badges individually placed on badge packs. 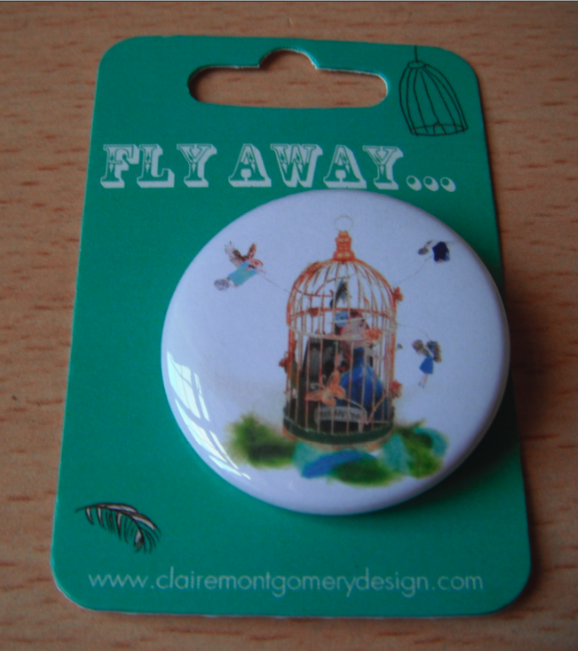 Also will have smaller single badges available in seven designs. 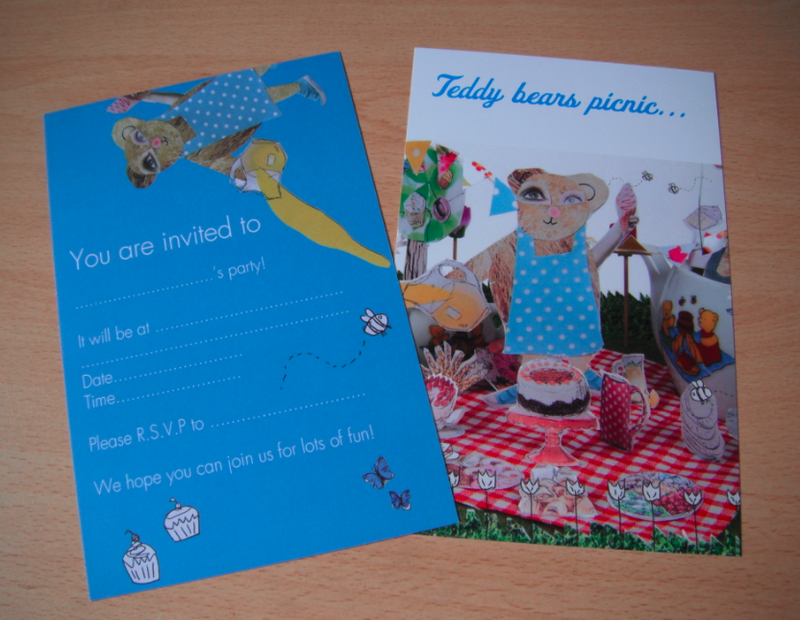 Children’s party invites. More items to follow…. Sign up to my newsletter for exclusive offers and updates! Valentine's Day Whimsical Gift Ideas!